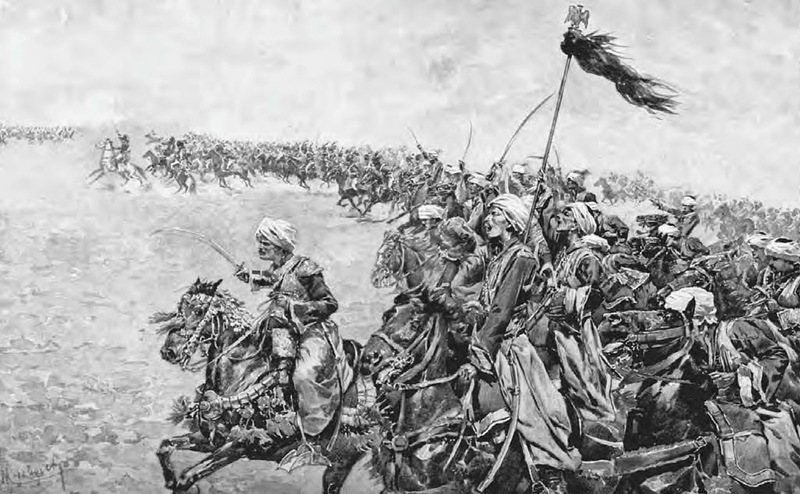 In 1798, General Napoleon addressed his troops who were preparing to do battle with Mamluks, a slave-warrior caste which had directly and indirectly ruled Egypt for over five hundred years. 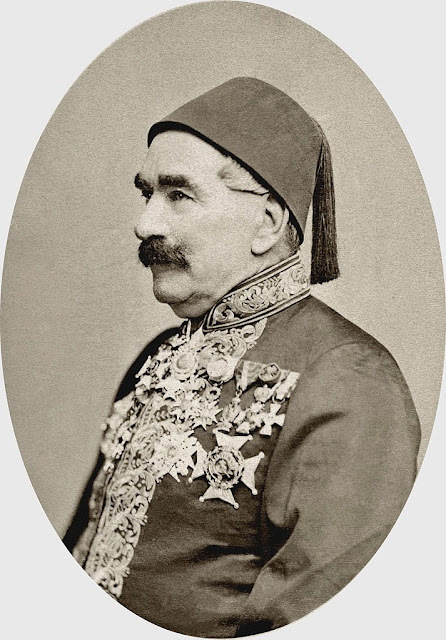 His goal was to wrest Egypt from the Ottoman Empire and obstruct Britain's access to India. 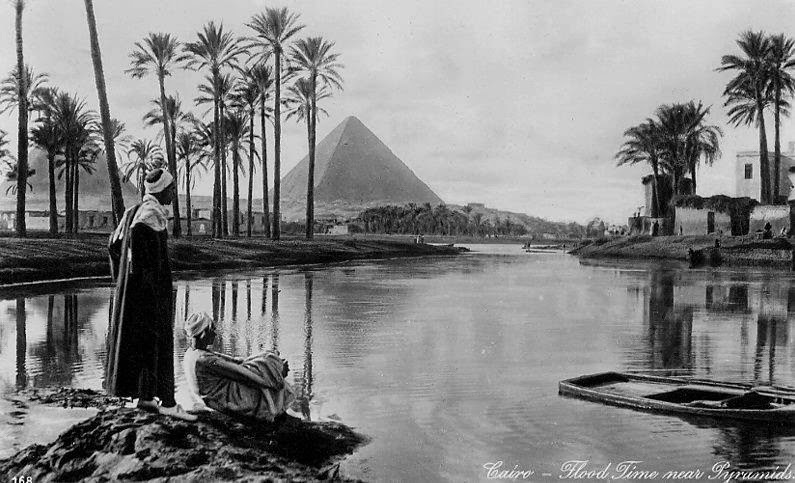 Pointing at the Great Pyramids of Giza that stood before them, he cried out: "Soldats! Du haut de ces Pyramides, 40 siècles nous contemplent". (Soldiers! From the top of these Pyramids, 40 centuries look down upon us.) This estimate of Napoleon's of the antiquity of the pyramids was all guesswork on his part as no one at that time really knew the age of the pyramids. As it turns out, even this seemingly generous figure underestimated their true age by half a millennia (not a bad guess but). 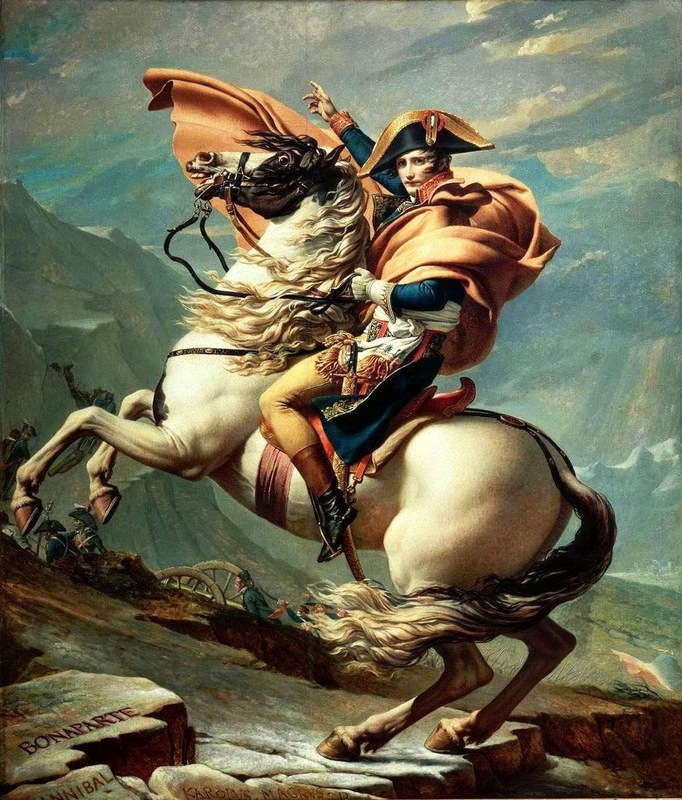 It is noteworthy that Napoleon Bonaparte was born in the same year as Mohammad Ali, for it was he would actually set the stage for Mohammad Ali's rise to power in Egypt. 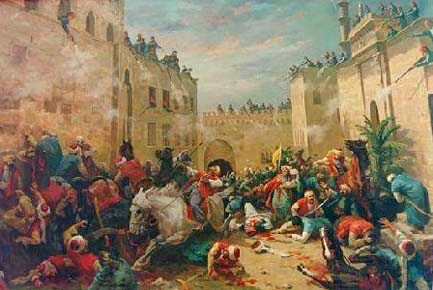 In 1798, Egypt was an Ottoman province ruled by the Mamluks. 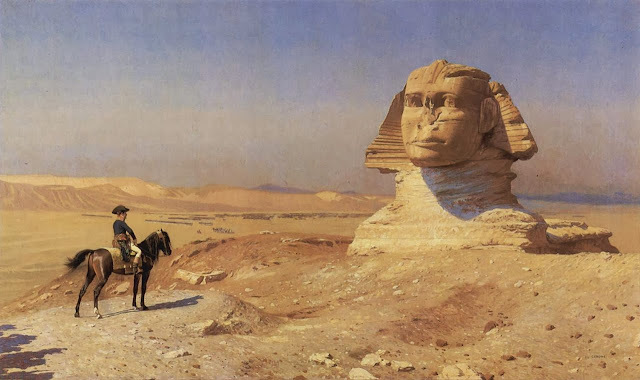 However, in that year, Napoleon invaded Egypt and conquered the Mamluk army at the Battle of the Pyramids. 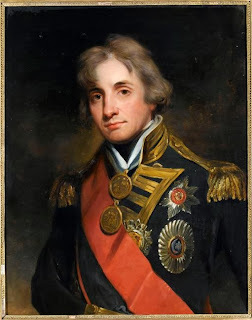 This short occupation of Egypt by the French had a very lasting effect on the country and for that matter, on Egyptology, but after a sea battle with the English off Egypt's Mediterranean coast, Napoleon was forced to withdraw back to France. Some of his military forces remained to occupy the country, but they too were soon withdrawn, leaving behind a power vacuum in Egypt. After defeating the Mamluks in Lower Egypt, Napoleon failed to consolidate his control over the entire country. Nelson managed to descry his fleet and in 1799, Napoleon left Egypt on a more pressing matter: to assume mastery of France. 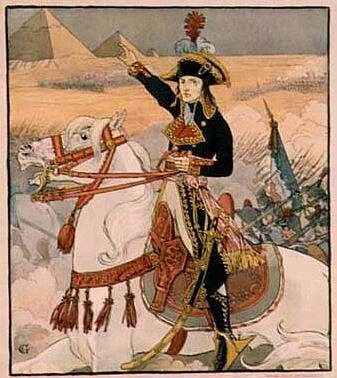 Two years later the French quit Egypt entirely. 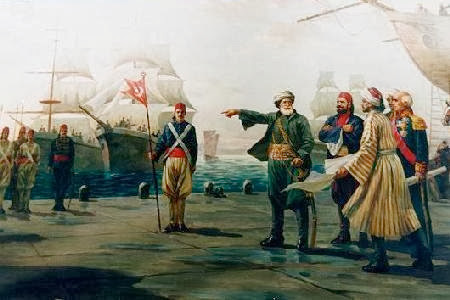 This left a power vacuum which lead to a civil war and in 1805 control of the country fell to Muhammad Ali, an Albanian commander, who claimed to be reasserting the suzerainty of the Ottomans over Egypt but in practice began to rule the country as an independent nation. Mohammad Ali Pasha, the first and most famous of this line of Egyptian kings was actually born in Kavala, a small Macedonian seaport on the coast of the Aegean, what is now known as A much younger Muhammad Ali, in this drawing by Chris Hellier, is referred to as Mehmet Ali Pasha Greece, in 1769. At that time, Kavala was a part of the Ottoman Empire. The son of the local police chief, his father, Ibrahim Agha, when Mohammad Ali was still quite young, and so the boy was taken in to service by the governor of the city, where much of his early training took place. 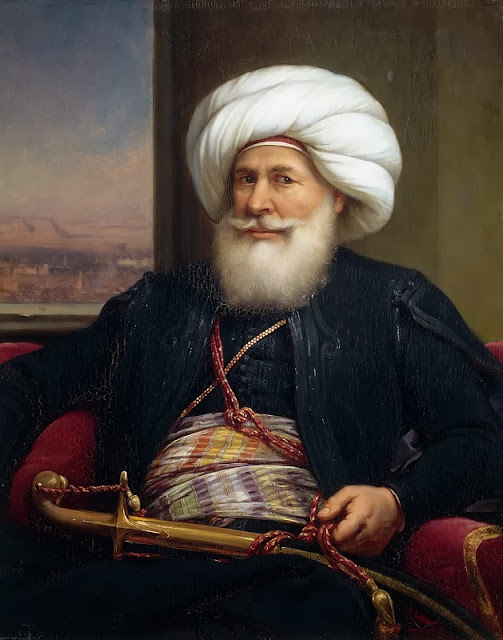 He was Turkish by origin and Turkish speaking, yet trained in a European province of the Ottoman Empire, so he brought with him political skills honed in the century-long conflict between the three great empires that disputed control of the Balkans. Commonly called Mehmet Ali, as a young man he worked for a while as a tobacco merchant, before taking a commission in the Ottoman Army. 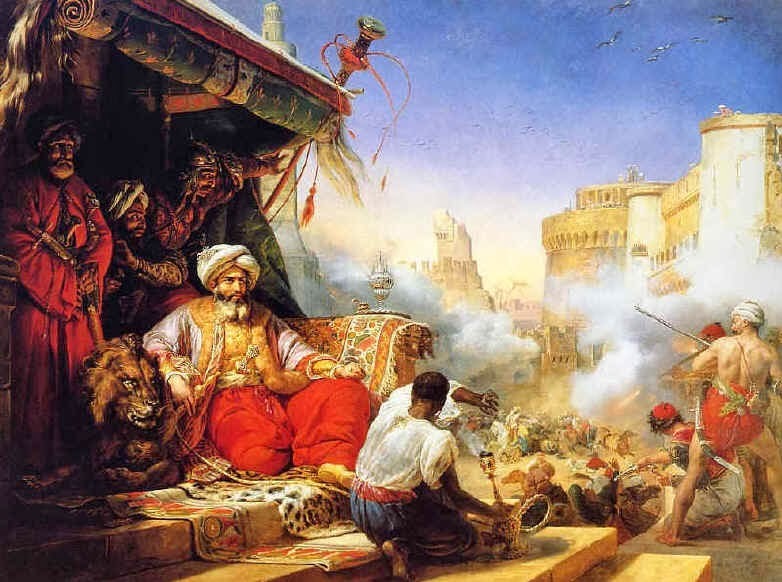 Muhammad Ali liquidated the Mamluks, first by assassinating their leadership (the old feast and daggers trick) and then through outright massacre of the troops, destroying their power forever. He then went on to create a modern professional army which was based on peasant conscription, education institutions and a series of massive infrastructure projects designed to boost Egypt's economy and develop it into a formidable industrial and military power. 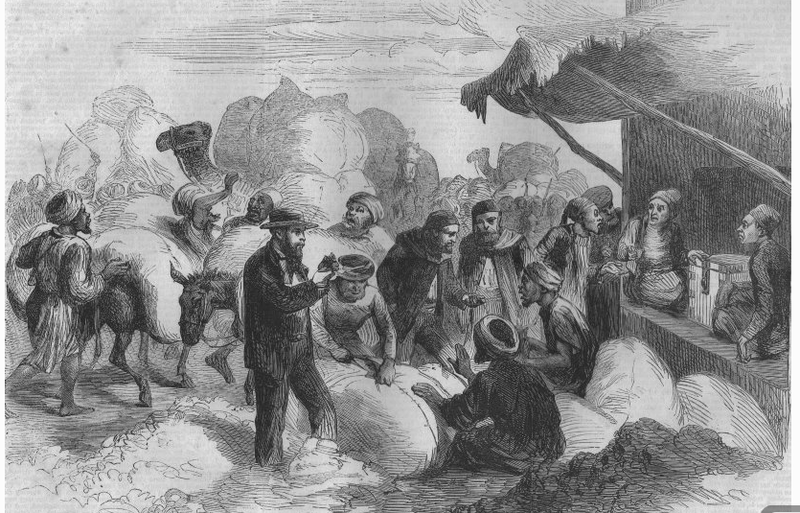 He built roads, canals, dams along the Nile and established Egypt as the world's largest cotton producer. Through these tireless efforts at modernization and his ruthless exploitation of the peasantry, Muhammad Ali sought continually to strengthen his autocratic grip on the country and his de facto independence from Istanbul. The Mosque of Muhammad Ali was built over 24 years, from 1824-48, and it was modelled on the Blue Mosque in Istanbul. The mosque made a statement of Muhammad Ali's independance from the Ottoman Sultan. Muhammad Ali's ambitious projects required talented and energetic individuals to carry them out. 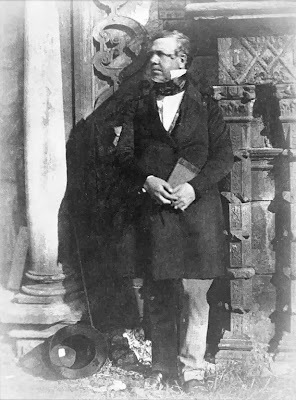 He often relied upon the advice and expertise of foreigners and one of the most important amongst these, both in terms of his proven worth to the Pasha and the legacy he left to future generations, was a Frenchman by the name Louis Maurice Adolphe Linant de Bellefonds. Louis Linant de Bellefonds was born on the 23.11.1799, entered the French Navy and came to Egypt as a midshipman in 1818. 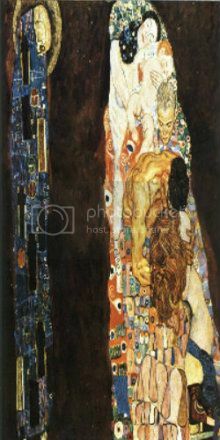 He seems to have found his "soul country" there, and resigned his commission to stay in Egypt. There was found a cryptic reference to his being for "political reasons" - presumably Linant and his family were Bonaparte supporters. for the next ten years he journeyed between the Delta and the Cataracts, and visited both Siwa and Sinai. 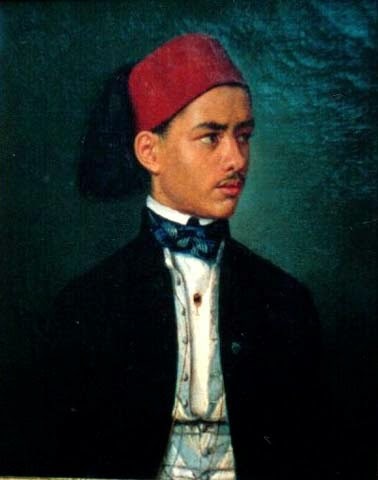 He was sponsored by the Compagnie Péninsulaire et Orientale for an expedition to find the source of the Nile in 1827. 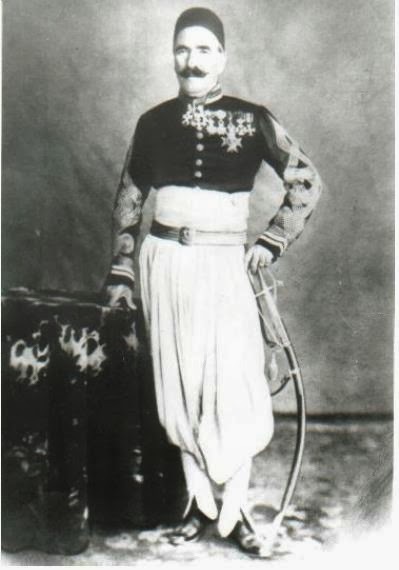 Linant was engineer who had risen to prominence within the Pasha's service because of his efficient and meticulous execution of the Pasha wishes. 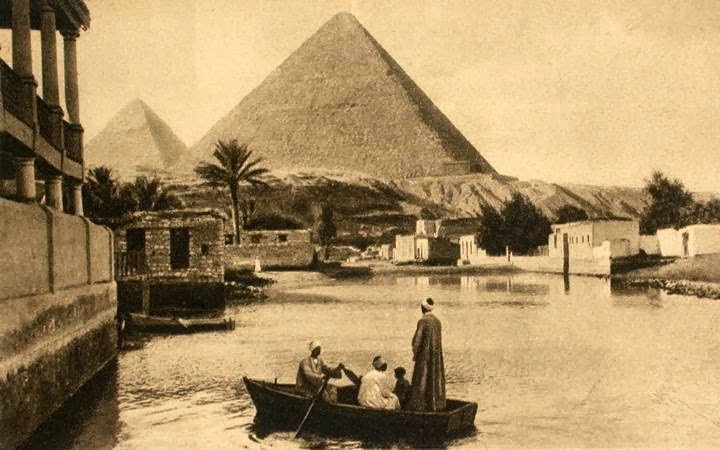 Though little known today for his role in the initiating and constructing the Suez Canal (he also surveyed and plotted its course as well as serving as its chief engineer), perhaps Linant's greatest achievement was a work that he didn't do, the demolition of the Great Pyramids of Giza. 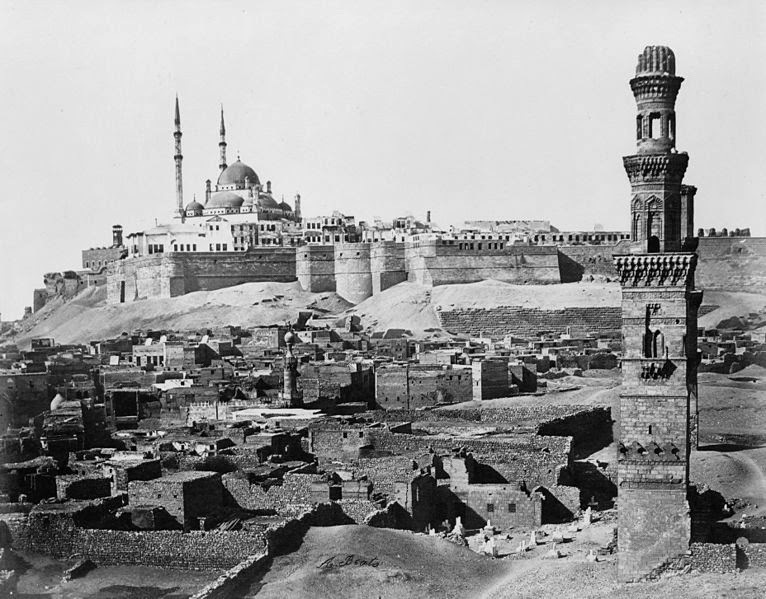 As a traditional Muslim, the Pasha frankly had little interest in Egypt's pagan past and as a product of the modern age, he saw the past only as a source of raw materials and the pyramids themselves as a mound of high quality cut stone that only endured because no one in the past had demonstrated the willpower needed to employ them. So as part of the water diversion and storage projects that were taking place along the Nile, Muhammad Ali ordered Linant to investigate the feasibility of a project to demolish the pyramids and transport their stone downriver to be used in the walls of dams. 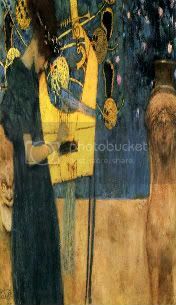 Privately, Linant was appalled at the idea of destroying these marvels of antiquity, especially for such a mundane purpose. 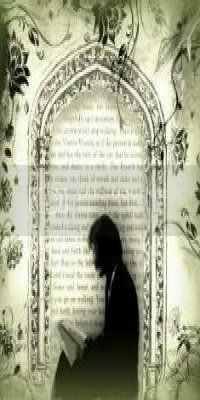 Nevertheless, he knew that the Pasha was not the kind of man who accept no for an answer and also that he would likely be replaced by someone else if he refused. 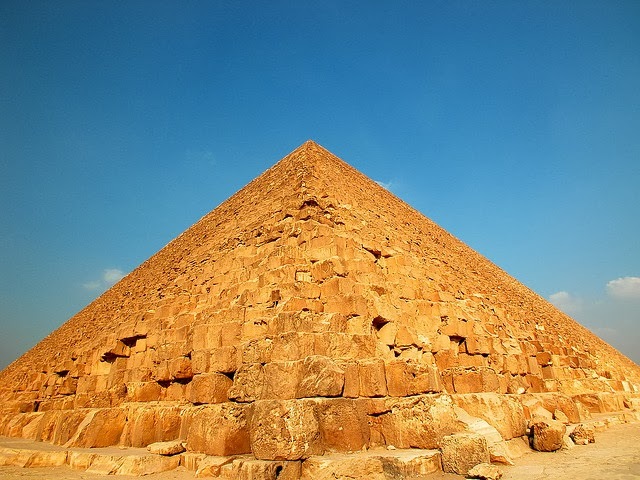 So he was fortunate in being able to contrive a solution by making a detailed study of the problem which concluded that Pyramid stone through free, after harvesting and transportation cost 22 percent more than freshly quarried stone. 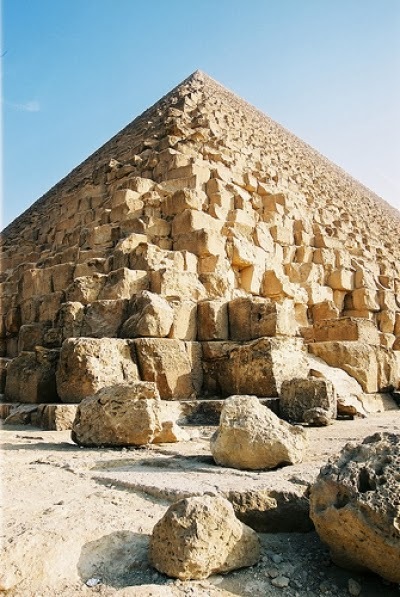 Linant compiled a careful report, which compared the cost of using material scavenged from pyramids versus newly cut stone from quarries, surmising that the quarry material would be cheaper. 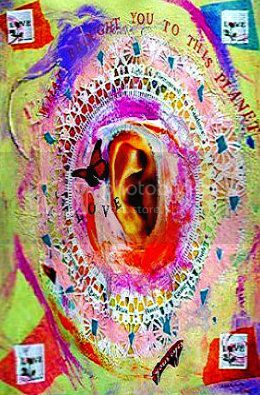 He judged that the majority of available blocks in the largest of the three pyramids, Khufu or Cheops, was of good quality. However, the report pointed out that Khufu contained four times more rock than was needed for the barrage works. Thus, demolition would require the selective removal of many blocks—at considerable cost. Thus, demolition would require the selective removal of many blocks—at considerable cost. 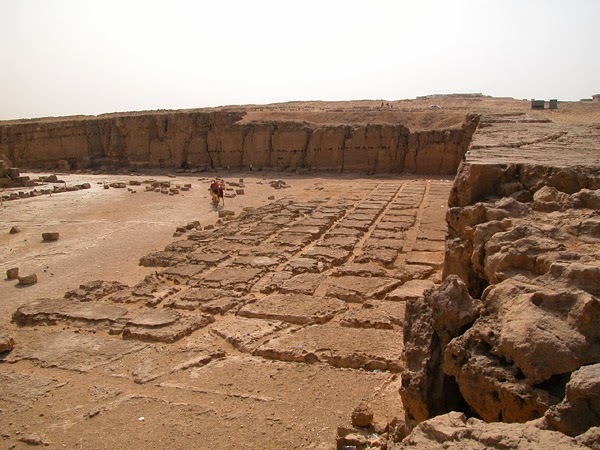 Blocks in the other two pyramids (Menkaure and Khafre) were of mixed quality, especially in the smallest, Menkaure, which did not contain enough suitable rock to meet the total needs for barrage construction. 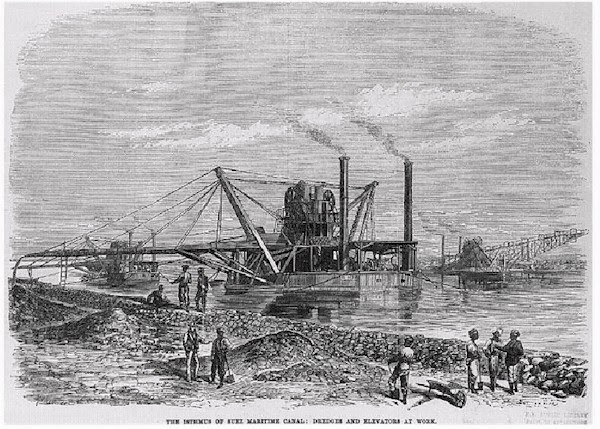 Linant also noted that even if the project used blocks from Menkaure, the cost of additional stone from quarries would excessively raise the overall price. Finally, Linant estimated that, regardless of the specific pyramid source, the project would incur further expenses to re-cut those blocks too large for barrage construction. The skillfully crafted report provided specific time constraints and cost estimates for the viceroy's consideration. For example, it detailed the best method for disassembling a pyramid, including a series of cranes positioned to displace and lower the blocks. The facile transfer of material from pyramid base to the Nile plain below would require a 1,000-meter-long ramp of sand faced with rock. 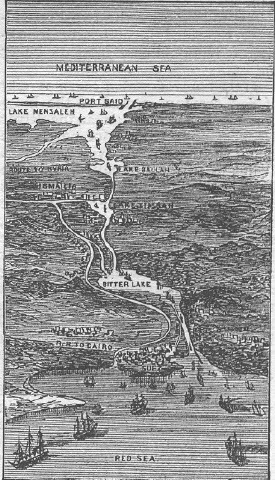 Of course, engineers would have to modify the canals so that these waterways could transport blocks from below the Giza plateau to the barrage sites. Thus, Linant itemized the costs of terrain preparation, taking into account the movement of large volumes of soil. The proposed work schedule incorporated the need for terracing at pyramid sites and the time allotted for rock removal. Among other details in Linant's proposal was a projected work rate for an early phase of upper pyramid removal: 480 blocks moved per day. 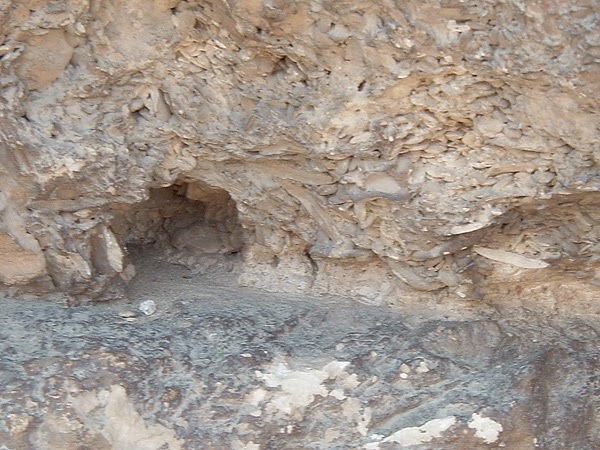 The report recognized that the rate of block removal would increase as disassembly advanced, consequently lowering the cost per volume of rock. 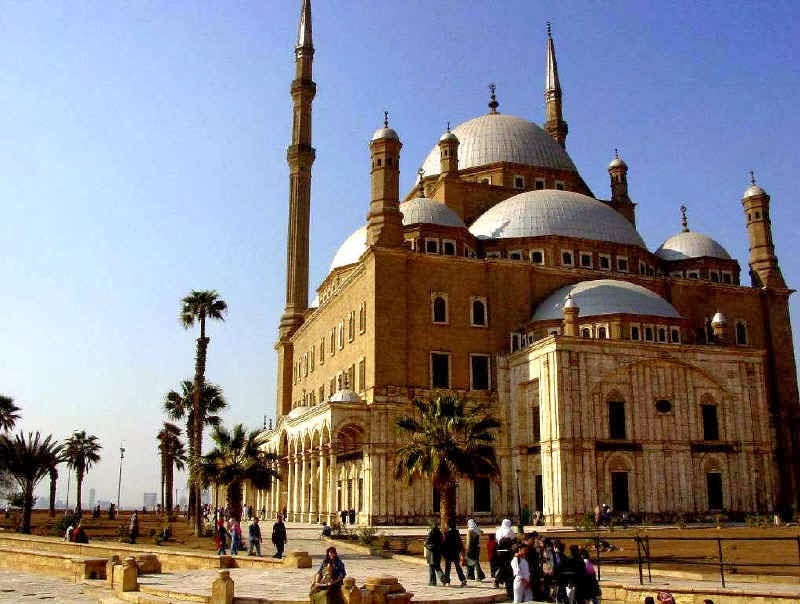 The total cost was 15,401,280 Egyptian piasters, a sizable amount at the time. A lithograph portraying the artist David Roberts' audience with Muhammad Ali in May 1839. 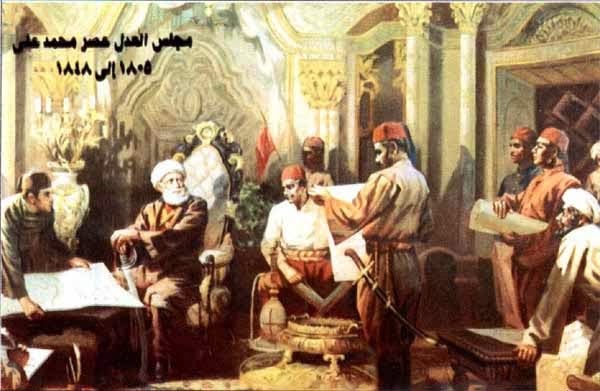 The Pasha is shown sitting cross legged with his hookah. 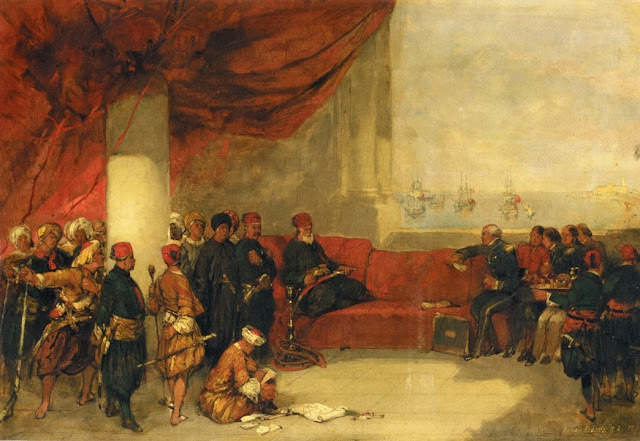 Roberts is sitting next to a Lieutenant Waghorn and is holding his hat while Louis Linant de Bellefonds is depicted standing to the left of the Pasha and wearing standard Ottoman attire including a red fez (tarboosh). Linant, who was no mean artist himself, was amongst the first Europeans to visit the remarkable and immaculately preserved architecture of Petra in Jordan which he drew in exquisite detail. Muhammad Ali's regime, which was already mercilessly extracting as much as it possibly could from taxation was nonetheless perennially strapped for cash so Linant's bottom-line argument as luck struck a chord with the Pasha and the project was dropped without further ado. The ruler told Linant that the quarry solution would be the better one in any case, because it would enable him to shift more workers to still other projects, rather than waste time on pyramids. Word of this matter spread, and some officials expressed gentle dismay about the engineer's poor form in countering the viceroy. The French General Consul in Egypt, having caught wind of plans to demolish the pyramids, published in newspapers a diplomatic letter that opposed "vandalism" but refrained from mentioning the ruler. Most people would agree with Linant that at least this potentially terrible state of affairs ended well. 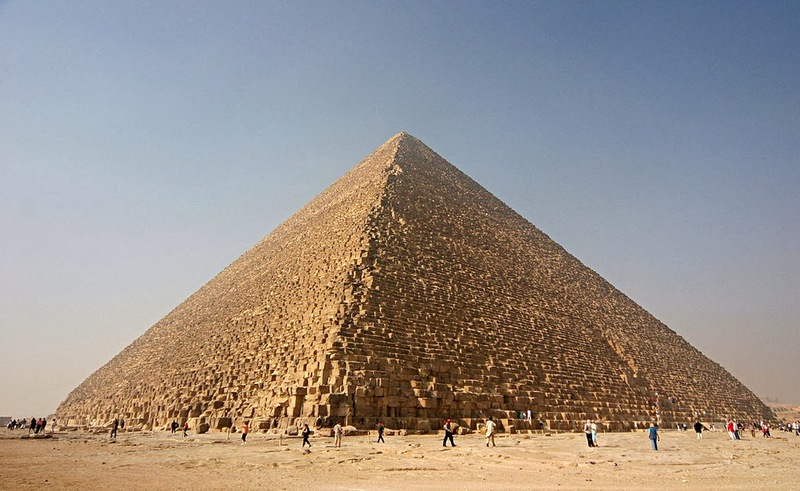 If Egypt places any more monuments on the Giza plateau in the future, they might think to add one to Linant de Bellefonds for his work and honorable defense of history.